The Samsung Galaxy J5 user manual consist of 84 pages. It's available in english language with file size of 4.61 MB. 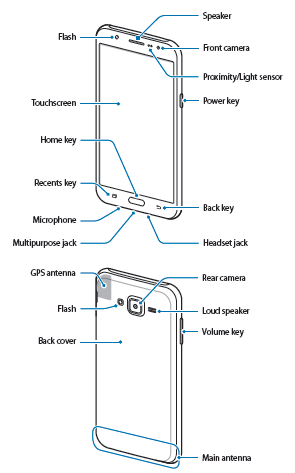 This manual provide detail reference information such as device layout, Installing the battery, tutorial Installing the SIM or USIM card, Installing and formating a memory card, using touchscreen and lock screen. Then about Device and data management on page 31, Installing or uninstalling apps, using contacts, email camera on page 44, using Smart Manager on page 45, using Google Maps, wi-fi, bluetooth, phone settings guide like SIM card manager, mobile network, Lock screen and security, Backup and reset guide, and Troubleshooting. 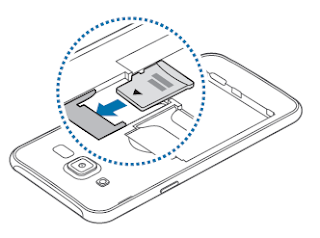 How to Installing a memory card for Samsung Galaxy J5? Change the settings for managing settings and data. On the Settings screen, tap Backup and reset. Back up my data: Back up your personal information and app data to the Google server. You can also set the device to automatically back up data. Factory data reset: Reset settings to the factory default values and delete all data.